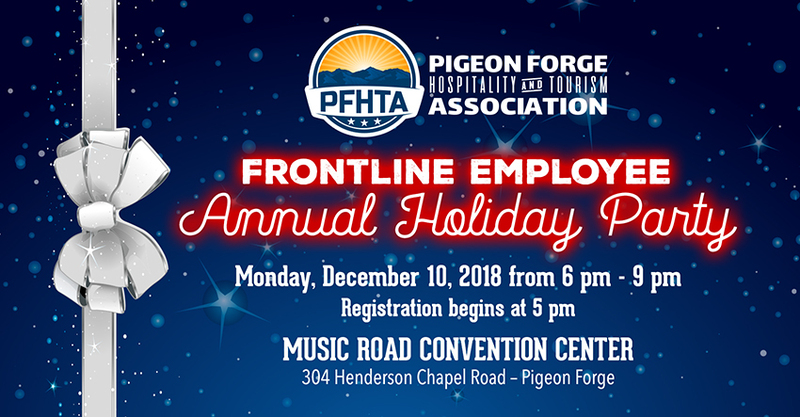 The Frontline Employee Annual Holiday Party for ALL EMPLOYEES of our Lodging, Retail, Attractions, Restaurant and Theater member companies. The Frontline Employee Annual Holiday Party for ALL EMPLOYEES of our Lodging, Retail, Attractions, Restaurant and Theater member companies. (You may bring one guest!) Associate Members are welcome too, although seating is limited! Join us for an adults only evening of fun including a festive holiday meal; games and contests with cash prizes; and door prizes donated from our members! Plus Santa and the PFHTA Little Red Wagon filled with gift cards and toys! Click to download the invitation/flyer in English; Spanish and sign up sheet. Don’t delay, seating is limited to the first 350 guests. Not a member? 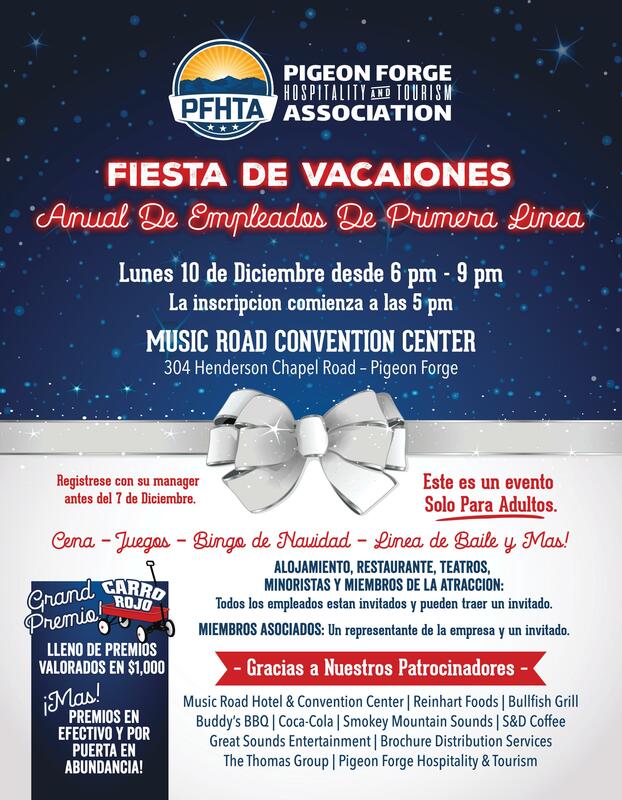 Email christieb@pfhospitality.org to find out more about the Pigeon Forge Hospitality and Tourism Association!